How do you grow into something new and greater with your partner? 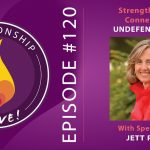 How do you foster feelings of love, passion and connection – no matter how long you’ve been together? 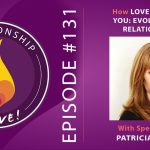 How do you evolve beyond what you even know to be possible for yourself in relationship? 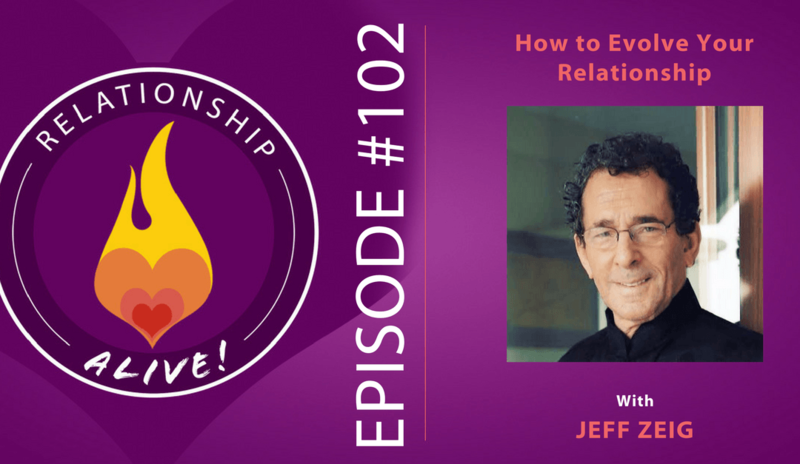 This week we welcome Dr. Jeffrey Zeig to the Relationship Alive podcast. He has authored and/or co-authored more than twenty books on psychotherapy, and he is the architect of the Evolution of Psychotherapy conference, one of the most important conferences for therapeutic professionals. 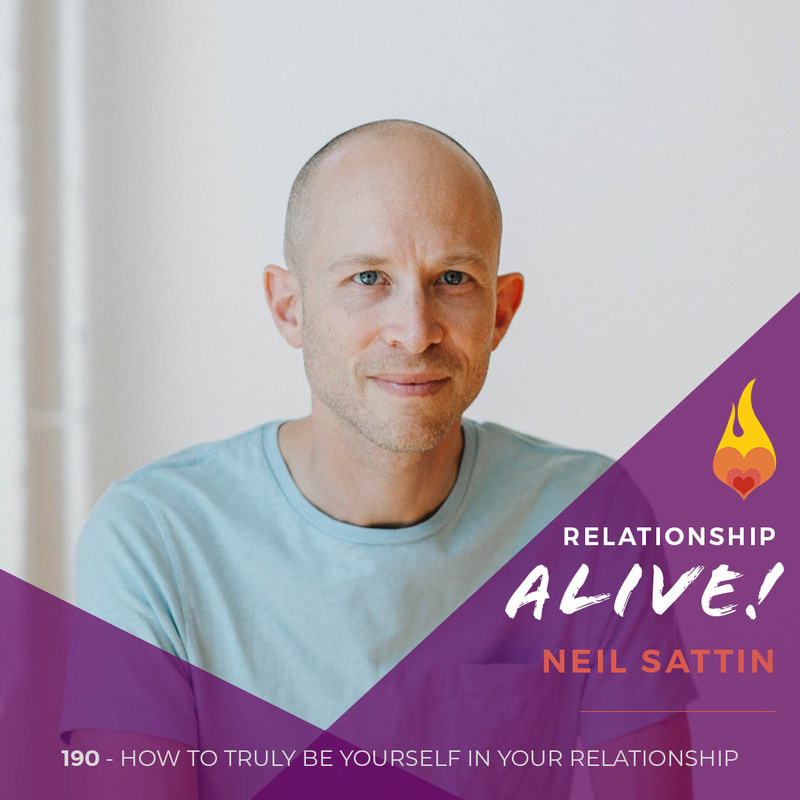 His work is on the cutting edge of helping us evolve what we know about what’s possible in the science of helping people change, as he is in a unique position to survey the entire landscape of what people are doing in the field of couples therapy. 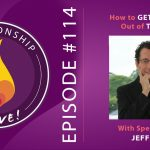 Click here to receive the Jeff Zeig show guide! Stages of Love: Love is a biological phenomenon that has three different stages, each with their own neurobiology. The first is the Stage of Attraction; this is when we discover someone who we feel drawn to. The next is the Stage of Attachment; this is a stage of luminance, which is marked with high sexual activity, an intense desire to find similarities, and a sense that you cannot get enough of each other. This stage then evolves into the Bonding stage in which we choose our partner as our mate. At this stage the neurochemicals secreted naturally drive down sexual desire. This decrease in dopamine rich sexual activity can become a crisis for couples who do not understand that there is a biological context influencing this change and instead create stories of lost connection or attraction. Shakespeare was right- love is blind. In the luminance stage we are nearly incapable of seeing our partner for who they truly are. In fact, we see them through a distorted hormonally influenced haze-biologically donned rose colored glasses. It is not until we enter into the bonding phase that we begin to see our partners in a more realistic way. This inevitable change in perception can be jarring, and especially threatening if not understood through biology. Discovering difference: As we settle into deeper relationship commitment the differences that provided such attractive polarity in the beginning can become sources of strain and strife. Too often relationships become like religious enclaves in which each person tries to convert their partner to do and be like them- more articulate, more organized, more emotive, and on and on… This can become a time of crisis with higher rates of alcoholism, workaholism, divorce, and affairs. Allergic to each other’s strengths? If we are not careful, we can become allergic to our partner’s strengths. What were once your partner’s idiosyncratic characteristics that so attracted you to them can become irritating if you do not continually refresh your appreciation. 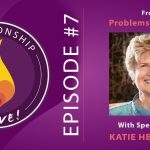 When we focus our energy on trying to control or conform our partners to match our desires we misread difference as disaster, disappointment, and failure (on their part and ours). In healthy relationship differences are not dangerous, rather they are celebrated. JFK reminds us to ask a different question: How can you find your way back to appreciation of your own and your partner’s different strengths? Ask not what your partner can do for you, but what you can do for your relationship. In what ways can you step up? In what ways can you improve? Don’t target the other person and expect change from them. Instead of reaching over the fence and weeding their garden, weed your own garden and instead gaze over to their side to look for the flowers. A loving stable relationship grows and thrives in an atmosphere of appreciation, rather than one of comparison and judgment. TOPIAH: Wait, what IS love? It is not just a concept based on internal characteristics (like passion, security, appreciating the other person, trying to make the other person feel comfortable…). Instead, love is an interaction pattern. It is not something that happens solely inside a person- it is something that happens amongst and between. We do not have words to accurately describe this interactional experience. How can we capture the essence of what occurs between two loving people? TOPIAH is an acronym that attempts to describe this experience- it stands for Taking Obvious Pleasure In Another’s Happiness. 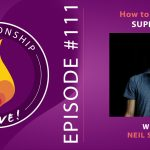 An upward spiral of energy and connection is created when you show your partner that you are happy with that which brings them happiness and meaning. Make this appreciation obvious! Change the spotlight: Due to survival needs we have evolved to be neurobiologically wired to focus on the negative and on mismatching differences (finding what is wrong in a given situation). With this small amount of scientific understanding, along with the knowledge that we are capable of rewiring our brains, we can begin to train ourselves to cultivate the art of appreciation and awareness of the positive. Being intentional is not easy, nor always instinctual- it requires a degree of thoughtfulness and an ability and commitment to choosing what you place your spotlight of awareness on. Bring the spotlight to the present moment through a smile, a gesture, a hug, a sweet comment. So much of the time we are trying to DO things that make our partner happy, however simply the act of noticing that your partner is happy about something and shining a light on that is in and of itself a positive contribution to emotional connection and fulfillment. Little acts of kindness build insulation. John Gottman reminds us that we should strive for a 5:1 ratio of moments/experiences of connection and attunement to experiences of discord. Little acts of kindness in which we display thoughtfulness and responsiveness to our partner is like making deposits in the emotional bank account, or better yet, building insulation. Don’t miss opportunities for appreciation! You want to build enough insulation by virtue of taking pleasure in your partner’s happiness so that when the inevitable regrettable incident happens, the relationship does not crash. Go from Yes, but…to Yes, and! Another critical way to make deposits into the emotional bank account is to change your interaction style. Many relationships get stuck in a habit of differentiation and power dynamic that incorporates a pattern of awfulizing. If this is the case you will literally hear yourself and your partner responding to each other with “yes, but”. This dynamic leads to a downward spiral in which each person is left feeling depleted, disappointed, judged, unheard, and disconnected. Change to a “yes, and” response and watch what happens! The positive energy that is generated is palpable. Instead of discord and deadlock a couple will find themselves improvising, and mutually inspired. Emotions are not communicated with words: When we really want to reach our partner on a deeper emotional level, we need to connect with their limbic system. Emotions are understood and communicated in HOW words are spoken, more than in WHAT is said. We need to tend to the paraverbal factors of using gestures, posture, proximity, tone, and tempo to communicate directly with each other’s limbic systems. Evocative communication: When the intention is to share emotions then we have to use communication that is more conceptual, even if this means giving up some clarity. There are two forms of communication- that which is informative, and that which is evocative. When you want to move something from the land of knowing to the land of realizing, you must build a bridge using evocative language. This is an art. We are storytelling creatures, and are moved through symbolism and metaphor. Find ways to incorporate metaphors and stories in your relationship in order to create doorways through which your partner may be invited into the inner landscape of your heart. This vulnerability builds closeness and deepens understanding of each other. So… go inward and explore your own sense of meaning and then get creative with your words. And last, but certainly not least find, out more about the Evolution of Psychotherapy conference!